When: Express your interest at the register page and receive an itinerary. Enquire here 10 day photography tours. 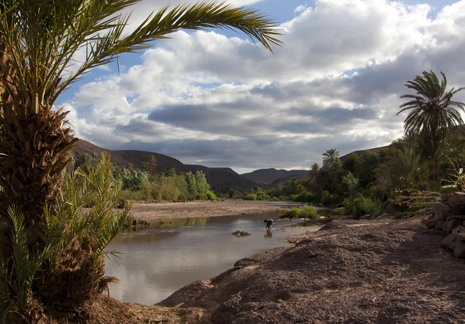 Where: Marrakesh, Ait Benhaddou, Dades Valley, Todra Gorge, Dunes, Atlas Mountains, Morocco. 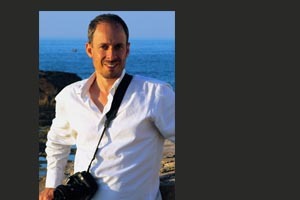 Photographing in the Berber villages. 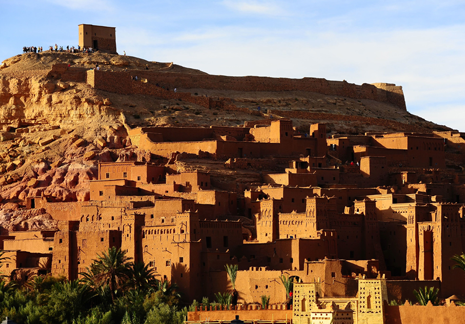 Ait Benhaddou and Dades Gorge are two of the most dramatic locations in Morocco with the journey there taking you over the High Atlas passing through a shifting kaleidoscope of different landscapes from valleys of pine to desert and Kasbahs. As part of your Photography tour you'll visit Ait Benhaddou exploring Morocco's oldest Ksar, taking tea and photographing two families who make carpets in the traditional way. We have built special relationships with several berber families in the region giving you unique access to photograph them. 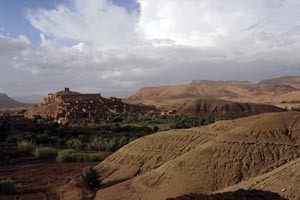 At Dades, the base for both dramatic photos of the Gorge, you'll be able to photograph nomads and capture a sandal maker and his family at work in a High Atlas Berber village. Normally as part of the tour itinerary you'll be able to photograph in the homes of three families and the workshops of between 3-4 craftworkers and artisans. There's also the countless opportunities to meet and photograph people along the way. Experience the pleasure of a Journey. The variety of landscape on offer during the photography tour finds its equal in few other places perhaps only in Arizona, Utah and Colorado can one find such similar terrain but here the distances to each shift in landscape are relatively short. You'll travel in an airconditioned vehicle on mostly good roads so sit back and enjoy the ride. We stop as much as we can on the day's we're travelling. If something catches your eye then we'll pull over. 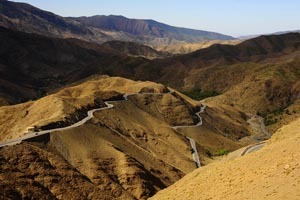 As well as the High Atlas villages, the 10 day photography tour takes in some some of Morocco's great dunes at Merzouga. Here you can photograph the sunset from the desert interior and take a camel trek into the dunes and sleep overnight in a remote camp. Group sizes are normally between 3 and 6 but if if you wish to book a private tour for 2 people then get in touch and I'll come back to you with a quote. Photographic opportunities to stir the soul. Epic landscapes; deserts, oasis villages, snow capped mountains; people working the land, transporting their goods, mending their houses, working the looms, baking bread, making tea; rustic berber houses, Kasbahs, Ksars, cragged rocks, nature in close-up, abstract patterns, earthy colours, vivid skies, almond blossom, reflections in the water. Photography tours should be about producing great images that you've set your heart on. We anticipate photographers for these tours have an idea of what kinds of images they want to take so we endeavour to include as much subject matter to suit individual tastes. There's a plan for photography everyday so bring plenty of cards! With the best images you can choose to have your own gallery made available online. Laptops are not required but some form of viewing device can really assist in seeing the progress you're making throughout the tour. 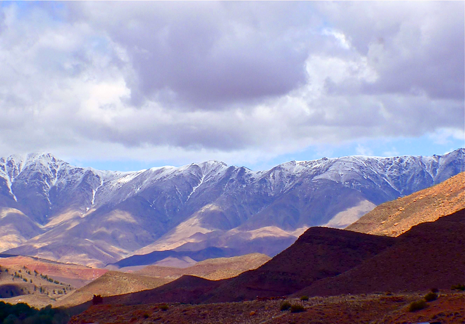 I have just completed an 8-day trip into the Atlas Mountains with Darren, Images in the Sun and it could not have been any better. Besides providing endless opportunities for photographs it also provided a unique glimpse into the lives of the locals. Through his connections, we interacted with a variety of local people and enjoyed their hospitality. These opportunities were never rushed and I am very happy with my images from the trip. Darren was always available for questions, to offer advice and to review photos when asked. I also loved the accommodations. Each were unique, charming and traditional with amazing food. I have fallen in love with this country and can’t wait to come back. I believe much of that is due to the effort that Darren has put into building relationships along the way and sharing them with his guests. Register on the link above for an itinerary. TOUR START DATES - Feb. 11th, April 8th, October 8th.